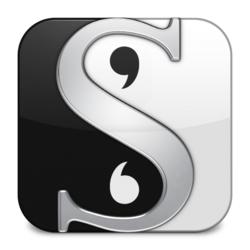 Discussion in 'NaNoWriMo' started by A.S.Ford, Mar 12, 2019. Kinzvlle and A.S.Ford like this. Sorry but what do you mean by cabin? An actual or an internet one, lol sorry for this question, also i am stoked for NaNoWriMo! A summer version of NaNoWriMo, called Camp NaNoWriMo, launched in 2011. Two sessions were held, one in July and one in August; however, the months were switched to June and August for Camp NaNoWriMo 2012. The two months were then switched to April and July for 2013 and 2014, and have stayed the same since. The rules used for the main event in November also applied to each Camp NaNoWriMo session. The Camp NaNoWriMo website does not have forums, but participants may choose to join a group of up to 11 writers, called a cabin. Each cabin has its own message board, visible only by members of that cabin. Camp NaNoWriMo participants may also choose their word count goal, similar to the Young Writers Program. jannert and Mr Novelist like this. I'm doing Camp this year (although I'm already in a cabin). This year my goal is simple; to write a minimum of 30 minutes per day. That's it. My hope is that by the end of April I will have established a new routine of writing everyday and hopefully I can keep it up beyond this month. Kinzvlle, Dracon and Harmonices like this. You know, that, is really clever! I like that plan. I always give myself silly big goals (with all sorts of things), start with gusto then run out of steam and end up slacking off to nada. There's never a day in my life where I can't wedge in thirty minutes tho'. Definitely stealing this. Quixote's Biographer, Some Guy and Kinzvlle like this. I realised this after writing 140,000 during NaNo last year. I didn't write anything for over a month afterwards which seems like a bad side effect of a month focused on writing! 'Bernard' ended up at around 11,000 words and yesterday I started 'The Selfie'. Spent 30-60 minutes planning and researching the MC since it's about a 16 year old girl and... I'm not one. Then wrote for 30 minutes. Really enjoying the camp so far! First draft of 'The Selfie' is... done, but kind of not? I really struggled through this one. Not with the word count (ended up with 6,300 words), but with the writing and the content. I felt uninspired and never really got 'into' it, if that makes sense. Wrote the final few paragraphs today, came up with some new ideas and immediately decided to do a rewrite. I don't have an idea for my next short story yet anyway so might as well give this another go. I think the story could turn out fine but as of right now there's just a few ideas, lots of bad language and boring sentences and the whole thing is just... Bleh. Kind of like this post. So, I'm gonna have a rethink and plot the story again now that I know it a little bit better and have another go. How's everyone else doing so far? I barely wrote anything today for my novel, things are moving slow though. I'm stalled. I can't state clearly what my word count is specific to Camp. I did finally count up my notes, and it looks to be a little over 60k. I did work-in a new chapter at 11kw, and finish a few scenes. So net about 15k? I write by feel, following a rough timeline. I write scenes, then piece them together. It works great! The problem is the beginning. I have three beginnings, present, flashback, flashforward, that could also be scenes in the timeline. I can't decide cause they all sorta work, so it affects what I do next. Not sure this belongs here or in the Not Happy thread (or both). After finishing the first draft of The Selfie on Saturday, I've really struggled to get started on anything else. I just seem to be all out of ideas - or at least any ideas I actually want to write - and I can't figure out how I want to rewrite The Selfie. Can't even come up with a better outline for it. At least part of the reason I'm struggling (and this is the part that belongs in the Not Happy thread), is because I can't seem to get a good night's sleep and haven't in the last 2-3 weeks. This morning I woke up around 3 am and couldn't fall asleep again. Getting through work each day is hard enough and I have very little energy for writing anything at all. Since I was up so early this morning I managed to get my half hour done and decided to write whatever came to mind. So now I have about 1,000 words about an 'I' person and an old man who's travelling over some fields to seek refuge in a mountain before their age of eternal sunlight ends, the age of endless night starts and the monsters of the night wakes from hibernation. And just to make it a lot more difficult to write any sense into this story, the old man constantly comes up with 'words of wisdom' which are mainly based on song titles by Enslaved. And I've stopped using any punctuation to mark dialogue (like in The Road) for no good reason. Mr Novelist, marshipan and Some Guy like this. Don't feel bad, we all have those days anyway, best to just keep writing.